pint glasses, or "where did these all come from?" Why is it that my demographic that hoards pint glasses? Why do we have so many? 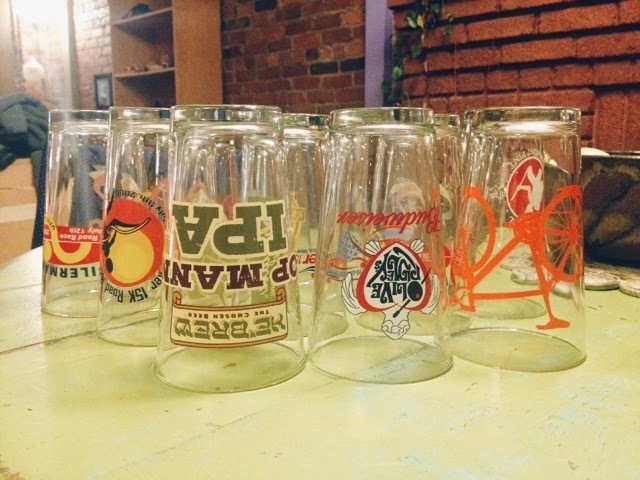 We have pint glasses from races, breweries, restaurants and two very special ones from our dear friends' wedding. Our pint glasses took up a whole cabinet shelf. They aren't even our primary drinking glasses, but here they are, filling an entire box and being trucked over to our new home. I imagine other people might also fill boxes to the brim with souvenir shot glasses, but we've avoided that trap so far. In fairness, though, we've donated something like three garbage bags of fabric and sewing supplies (don't worry, I still have a room full of supplies), four or five bags of clothes, a box of shoes, two boxes of vases (where did they come from? ), three boxes of miscellaneous household items, two boxes of books and a straw farmers hat. If you had to move next week, what things would you find that should have been tossed long ago? Do you still have boxes stashed up from the last time you moved? Any weird collections or hoards hidden in the basement? Do tell, it will help me feel less alone with this junk. It was ambitious, I suppose, to peg September as my grand clean-out month. You see, I'm less than two weeks away from running my first-ever full marathon. That means I've been running. A lot. And then recovering from running. And eating enough for running. And reading about running and shopping for cute new running clothes. But! I have managed to organize my jars and weed through rusty canning lids so that what we have is both useful and more easily accessible. 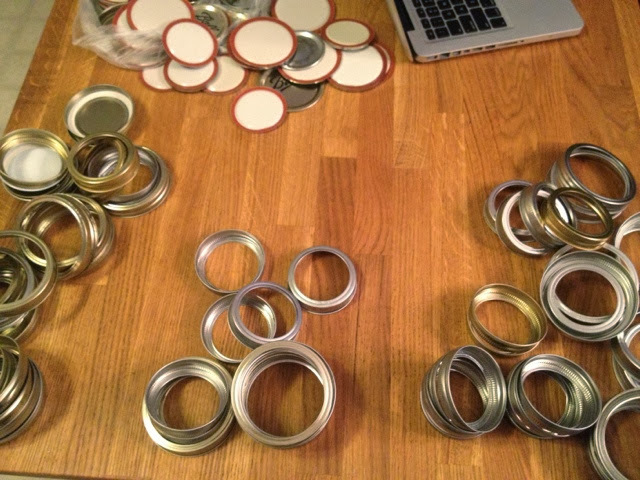 For those of you wondering, no mason jars were harmed or thrown out in this process. I pared down our ever-expanding reusable grocery bag collection. We still have more than we need, but I got rid of the nasty ones or ones that we never really used because they were too small, the handles weren't big enough or they were ugly ones we got for free somewhere. It's a better situation now. One more garbage bag of clothes is ready to be donated, which I think brings me to four or five total bags donated this year. I'm particularly proud of this batch because it includes three tank tops that I always felt really lousy and frumpy in but never thought to get rid of, a pair of ill-fitting corduroys and a pair of old boots that I haven't worn for years. Out they go! I'm tackling the rest of my junk one room at a time. Up next? Our entryway/living room/sitting area. It's the first place you see when you walk in and also one of the easiest spaces to address, which should give me a sense of accomplishment to keep me going. Seasonal switch of coats and jackets, moving some to the downstairs closet and keeping the relevant ones out. Same with the shoe pile and basket of hats, scarves and gloves. Clear out the entryway dresser full of fabric. There is fabric hidden in every corner, and I don't need it all. My goal is to consolidate down to just one bin of fabric, plus one bin of sewing accessories. That's it. I've held onto ugly fabrics in hopes that one day my taste might completely change and I will use them in a home-sewn masterpiece. Not going to happen. I'm going to reclaim this prominent dresser in our entryway for other storage. Create a spot for our keys and a mail inbox system. Clear out bins of miscellaneous cords and old phones and twine. Yes, we have bins full of these things. Why? No clue. Comb through books and donate those one-time reads that I'll never revisit. 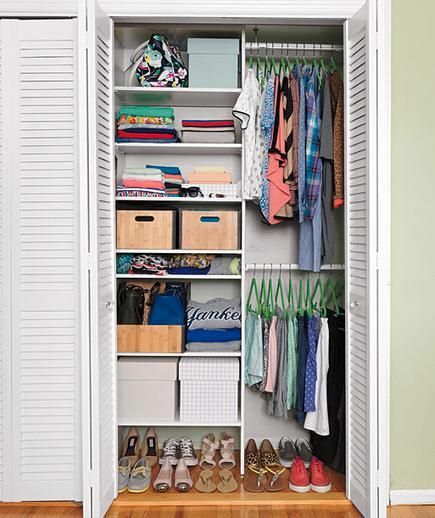 What room in your home could use a refresher? 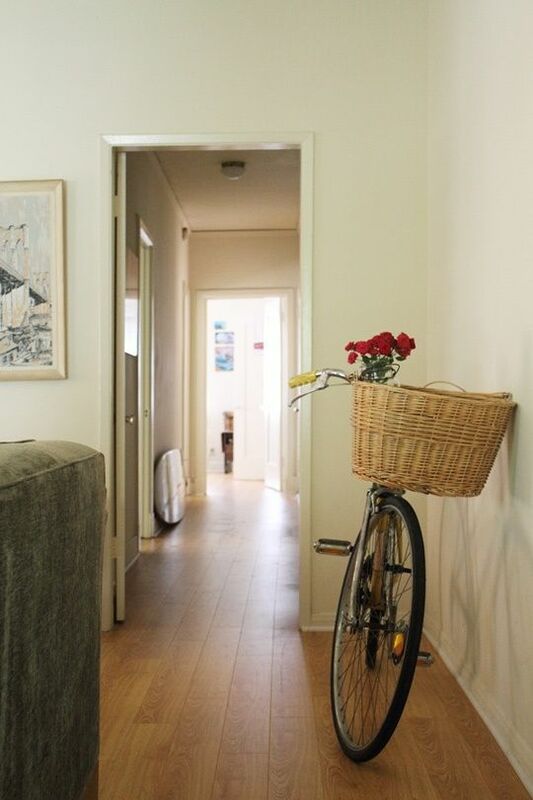 If you want to follow along with me, take a peek at your entryway and see how you can declutter it and simplify. It's the first room to greet you when you come home-- why not make it a calm and inviting space? I've got too many things tucked away in all of the corners of our home. I'm a saver, a lover of nostalgia, a don't-throw-it-out-because-we-might-need-it-someday sort of gal. I'm also a little bit messy. I like things within easy reach and quick access, which means I tend to leave thing laying around. But! It's a new dawn. 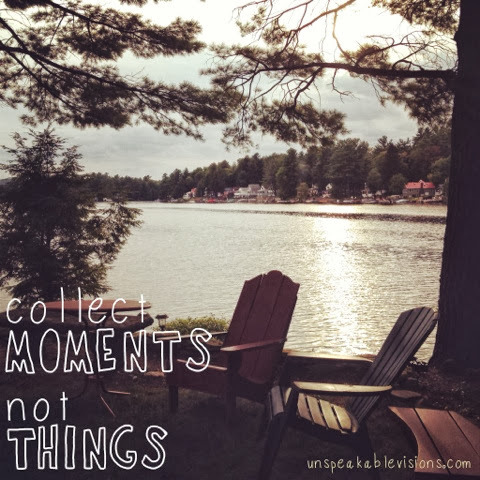 I am committing the month of September to editing, paring down, de-cluttering, freeing up and simplifying our home. Those of you who know me, and those of you who have ever lived with me, will recognize this is an ambitious initiative. But it's time. I'm feeling emotionally weighed down by stuff and I'd rather feel light and free and spontaneous and adventurous. Which is hard to do when you are stuck beneath unpacked boxes and piles of clothes and endless paperwork and knick knacks. When you can't quickly find your swimsuit and your sunscreen amidst the clutter. That means getting rid of clothes that don't fit or that I don't feel completely awesome in. Tossing old XXL race t-shirts from 5Ks that mean nothing to me. Scaling back my collection of notebooks from college and grad school or tossing them altogether. Filing away important paperwork, scanning some in to save on my computer and ruthlessly shredding the rest. Letting the weight lift from our shoulders, allowing space to open up and reclaiming a bit of freedom. It does not mean spending money on organizing systems or wasting time on Pinterest or in the pages of Real Simple magazine. Yes, there will be some organizational victories, but mostly I'd like to just have fewer things to organize. The goal is not to re-arrange the stuff, but shrink it down. So, here goes nothing. To be honest with you, I'm only feeling about 70% committed to this project but I hope that by putting it out there I'll feel guilty enough to see it through. Let's simplify. Let's pare down to what is useful or beautiful. Let's surround ourselves with things that inspire us or make our lives easier, not junk that haunts us or traps us or blocks fire escape routes. But this doesn't mean I have to get rid of my jars. They are both useful and beautiful. Next time someone asks me what I do in my spare time, I'm going to say, "The dishes." I'm not even feeding a house full of kids and the dishes still pile up so damn quickly. It's the major downside of our culinary experiments. Lots of times I don't mind doing them, because there is something calming about scrubbing the pots and pans clean. But after the third round of the day, COME ON. We are constantly dirtying and cleaning dishes and we are generally only feeding two mouths for crying out loud! Neither of us grew up with dishwashers and, to tell you the truth, I'm not sure I've ever loaded and run a dishwasher completely by myself. So what I'm saying is, I should be used to this but I'm just not. I've been taking out a lot of cookbooks from the library lately, and I think I'm addicted. Libraries turn me into a damn greedy beggar, with their free books and online renewal. I go looking for one specific thing and walk out with an armload of cookbooks, just because I freakin' can. It's like a free lunch buffet... you end up binging on stale sandwiches and cans of store-brand soda all day, just because you can. I flip through them, mark the recipes that look good, and then I copy or scan them into my computer. After that, I return the books. It seems illegal. What can I say, I'm a real thrill-seeker. The New Vegetarian Epicure, however, is going on my must-purchase list. I realized that after I bookmarked all but two menus in it. Favorite cookbooks, anyone? Let me in on the secret. Also, if you have any tried and true recipe management/organization systems, let me know about those too. I've got a binder full of recipes, a binder full of other food and nutrition information, a shelf of hard-copy cookbooks, plus online accounts and collections at Epicurious, Better Homes and Gardens, Martha Stewart and I tag all the other miscellaneous recipes using Google Bookmarks. Sooooooo, I need some help. Oh, and does anyone use Evernote or another digital notes organizer?